There are many considerations to take into account when starting a marijuana business, and branding is one of those. The marijuana industry on the whole prides itself on branding that is bold, cheeky and perhaps a little more risque than most. But cannabis start-ups must be careful to research whether certain names are not only good for marketing, but whether they are actually available. Otherwise, owners may find themselves embattled in a lawsuit alleging trademark infringement or copyright infringement. Brand infringement is a serious, and potentially costly, risk. Companies are increasingly being proactive against this damage by monitoring their brand name and competition – especially online. Protecting yourself from such action, as well as protecting your own brand from infringement, is important. When competitors, affiliates or other third parties take advantage of your brand by using your trademarks, ideas, products and keywords to confuse similar aspects of your brand as their own, it can cost you business. 15 U.S.C. 1114 outlines provisions for trademark infringement, innocent infringement and remedies. Our marijuana business attorneys in California can help. Recently, an Ohio company that makes adhesive took legal action against a marijuana grower in Nevada for trademark infringement. Although the two products are dissimilar and are sold in very different geographic markets, the product name is identical. Defendant produces a potent hybrid marijuana strain that it has coined, “Gorilla Glue #4,” and it’s sold in dispensaries in some 24 states that have legalized marijuana. But the family-owned glue maker in Ohio says the branding of the marijuana company creates an unwanted connection, which plaintiff firm says is likely to harm its good name and branding. Plaintiff is seeking unspecified financial damages, including any and all profits that were generated as a result of defendant’s sale of the aforementioned product. Specific allegations are trademark infringement, dilution, unfair competition and “cybersquatting.” Defendant is accused of trading on the goodwill and reputation of the Ohio-run glue company by marketing products under a confusingly similar name. In a press release, defendant argued the entire marijuana industry is jam-packed with cultural references, and their brand is no different. The name, they argued, has nothing to do with the glue-making company. Rather, it was derived when a grower trimming a new plant strain realized the resin on the flower caused his hands to stick to his phone like glue. The Gorilla Glue marijuana strain has grown immensely in popularity since it was launched in 2012. Of course, this is isn’t the first time this kind of litigation has arisen in the cannabis industry. However, it is arising at a time when the industry has much more clout that in the past, when underground guerrilla marketing was the norm. Defendant argues a loss for them would set a poor precedent for cannabis industry intellectual property rights. 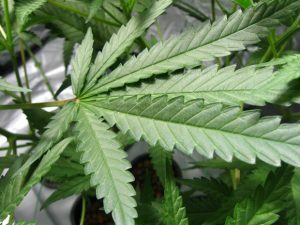 Plaintiff says the complaint has nothing to do with any negative stance on marijuana use – medical or otherwise – but rather that it’s valuable brand has been intentionally heisted by a company that played on its reputation for high-quality “sticky” adhesives. Many cannabis companies are closely watching the outcome of Gorilla Glue Co. v. GG Strains, weighed in the Ohio Southern District Court, which it is believed could directly impact future trademark cases and intellectual property rights within the cannabis industry.